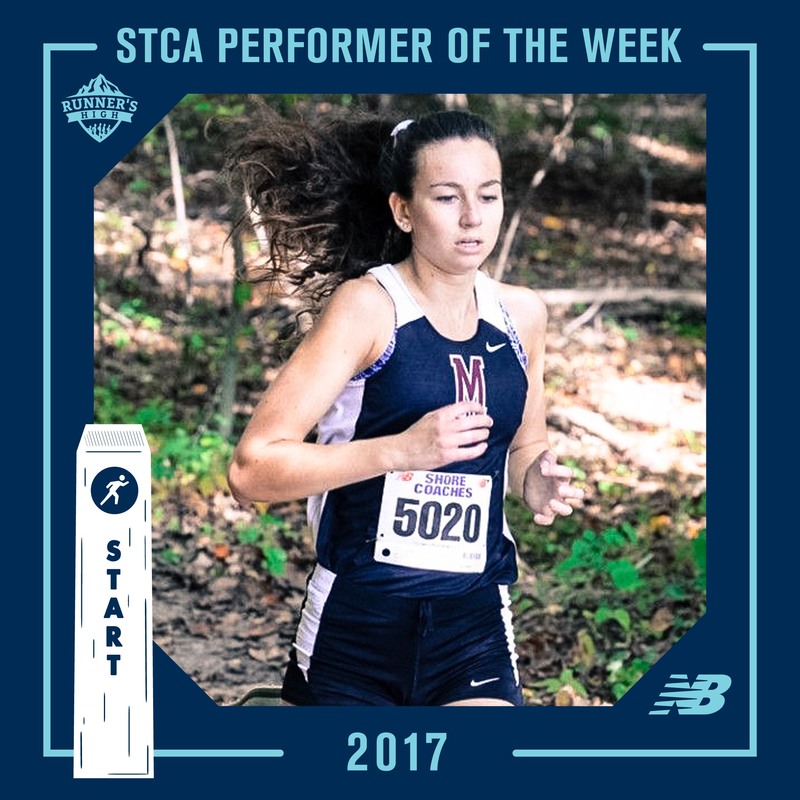 Winners for Week #4 of our Shore Coaches Association Performer of the Week presented by New Balance are Rachel Kenny of Matawan High School and Luke Reid of Christian Brothers Academy! Rachel Kenny of Matawan posted the fastest time of the day by any Shore Conference athlete at Saturday’s New Balance Shore Coaches Invitational. Her time of 19:18 snagged her the win in the Varsity D race. Luke Reid of CBA ran a monster Holmdel Park PR to place him 2nd overall in the Varsity A race at Saturday’s New Balance Shore Coaches Invitational. His time of 16:23 was the 10th fastest overall and the 2nd fastest amongst Shore Conference athletes. 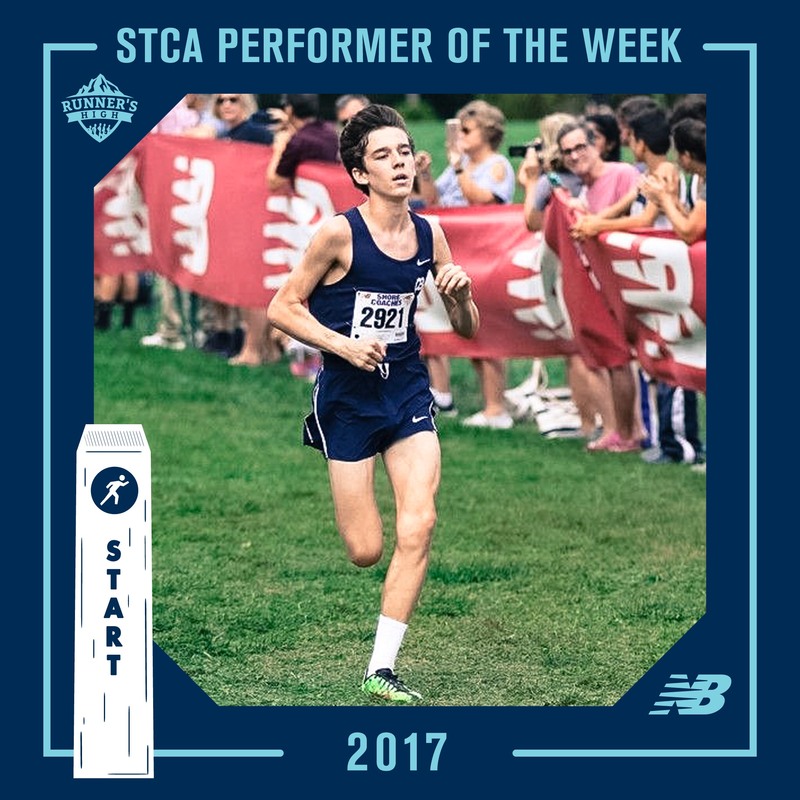 Keep your eyes posted all season long for each week’s STCA Performer of the Week. Think your performance is worthy of a nomination? All Shore Conference coaches can email us at craig@runnershighnj.com with weekly nominations for our committee to debate. Each winner will be presented with a limited edition Runner’s High New Balance backpack! !